Book your seats for carpooling ride sharing service in your routing. Are you seeking car service as a sharing ride? 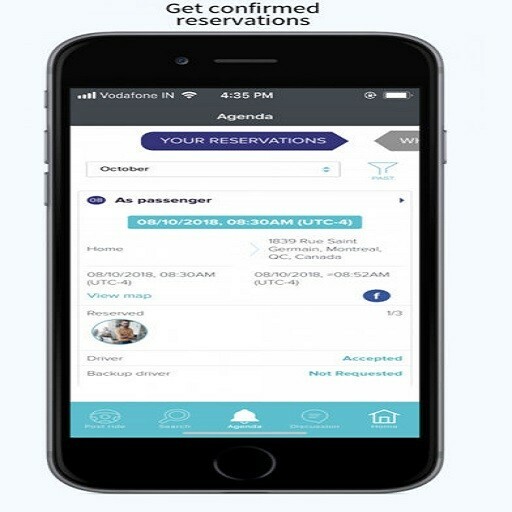 SeatsPlanet is a seat reservation system in the form of carpool app. Let’s use all these empty seats in the cars as carpooling that are circulating for commuting. You are going somewhere and want to share car? Post where you will go and your seats will become searchable for a quick ride in carpool. The interface will find the best match for passengers and display real availability for car sharing. In this sharing ride app, powerful interface allows you to synchronize with your calendar and communicate with the other users for details & rideshare before commute. In the transportation/rideshare the prices are automatic and calculated based on the price of gas and the maintenance cost of a vehicle. 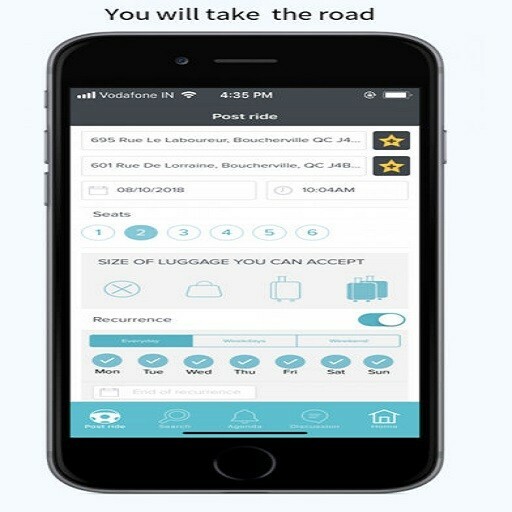 Sharing car with SeatsPlanet ride app allows low price transport for passengers/rider and big savings for drivers. This carpooling/transportation app is useful for both driver and passenger for sharecar. Just install this ride app and then make the account with a credit card under your name. With the same account you can post a ride as a driver to share car and find the sharing carpool ride as a passenger in commute. As a driver you will have a right to accept or decline the rides of passenger for your carshare. This ride share is beneficial for both as a rider to share travel for outing and as a driver, car sharing as taxicab for extra income. As a passenger you can search ride just by easy steps. When you share travel, it is cost effective rideshare with a secure and transparent approach. Within ridesharing, you can reach your destination on time. As a driver if your share car as a taxicab, you will have an opportunity for the extra earning. One can save a lot with this share a ride app for the journey, local trip or other tour. Download SeatsPlanet cab app for quick ride and reserve your seats for carpooling with this ride sharing application. Get your car sharing and make money. Book your daily carpooling and make your the travelling easy and cost effective with this minicab app. As a driver, get carshare and make money. This service is available Boucherville, Repentigny and Terrebonne. It will be soon available in several countries, languages and currencies.